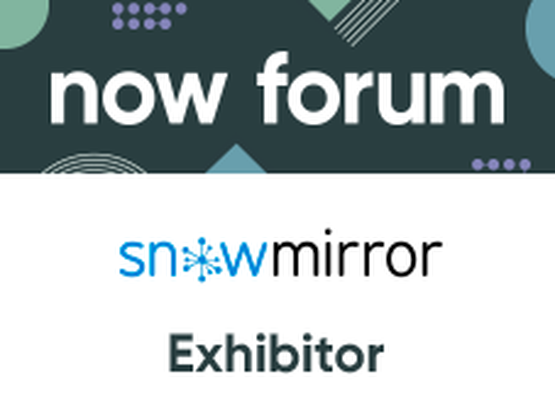 Join SnowMirror in London and learn how to create an on-premise ServiceNow read replica to deliver reports on your preferred platform or how to simplify your ServiceNow integrations. NowForum is a free, one‑day event where you can learn directly from the experts driving the future of digital transformation. You’ll hear inspiring keynotes and customer case studies, network with your peers, and discover innovative new ways to succeed at lightspeed. Please register for NowForun London and stop by at our booth.